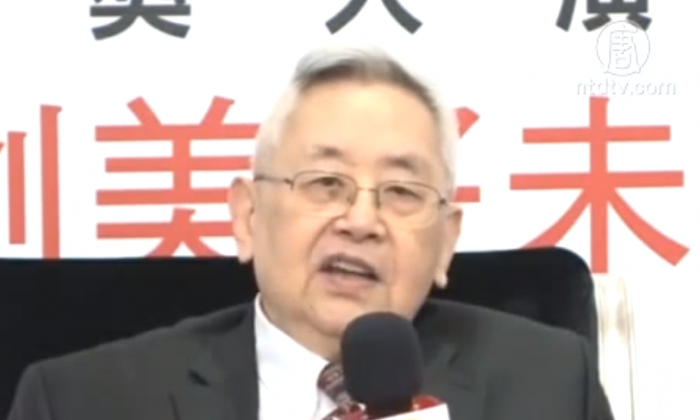 Works by Yu Ying-shih, a renowned sinologist, are to disappear from Chinese bookstores, following the decision of the State Administration of Radio, Film, and Television to censor “everything labeled with” the 84-year-old scholar’s name, according to a report made by Aboluowang, an independent Chinese-language news site. According to reports by the Taiwanese Liberty Times Net, the decision to censor Yu and other writers was handed down at a recent publishers’ meeting in mainland China. Yu had previously made unflattering comments about Beijing with regards to the ongoing pro-democracy student demonstrations in Hong Kong, and, according to the report, expressed support for the Taiwanese Sunflower student movement. During the Sunflower movement, protesters opposed the signing of a prospective trade deal with the communist mainland, fearing it would endanger the island’s autonomy. The resulting movement saw students occupy the legislative and executive offices of the Republic of China. As reported by NTD Television, Yu Ying-shih stated that the criticism of Occupy Central from pro-Beijing media, the Foreign Ministry and the Liaison Office are all empty warnings and threats, because the communist authorities can’t control Hong Kong. “They have to threaten Hong Kong verbally because they don’t have an army there,” Yu said. Yu’s work, mostly published in Chinese, has focused on the role of intellectuals in ancient Chinese history. He is known for his extensive body of literature concerning the liberal nature of the Confucian intellectual tradition, and has challenged the widespread view of Confucianism being incompatible with liberal concepts such as democracy and women’s rights. Born in the city of Tianjin, Yu Ying-shih grew up during World War II. Living with his aunt in the countryside to avoid the brutal Japanese occupation, he observed from a young age the traditional Confucian, Buddhist, and Daoist ways of pre-revolutionary China. In the 1950s, Yu moved to Hong Kong and then the United States, where he earned a PhD at Harvard University. Yu, who has lectured at three Ivy League universities, was the winner of the 2006 Tang Prize for Sinology, which is awarded by the Taipei-based Academica Sinica. The decision to censor Yu Ying-shih came in tandem with the banning of works by several other Chinese-language writers, including the prolific Taiwanese author Giddens Ko. Born in 1978, Ko has published over 60 novels in his short career and several of his works have been adapted for film.